Opportunity Starts at Home: State Campaigns in the Spotlight! To continue to broaden our multi-sector effort, the Opportunity Starts at Home campaign selected seven state partners to receive capacity-building grants to broaden and diversify each state’s housing coalition to engage other sectors. This effort will ensure that each state has active coalition members from the healthcare, education, civil rights, anti-poverty, and other sectors, in addition to its housing partners. We will highlight the successes of the other state grantees in upcoming articles. As the campaign grows over time, Opportunity Starts at Home will encourage similar efforts in more states. These Opportunity Starts at Home state grantees are doing extraordinary work. In this article we highlight Maine and Ohio. The Maine Affordable Housing Coalition has named its multi-sector state campaign “Maine Together” and plans to launch its website and a social media effort later this month. Recently, the coalition penned a sign-on letter to Maine’s congressional delegation advocating for lifting federal budget caps for non-defense discretionary programs. The letter was signed by 151 organizations from a variety of sectors and was hand-delivered to the office of Senator Susan Collins (R-ME). Maine Together continues to advocate for more robust federal housing policies and has met with Senator Collins’s staff to discuss their ongoing efforts. They have formalized relationships with 20 cross-sector organizations, and will continue to broaden their reach in the months to come. The Coalition on Homelessness and Housing in Ohio (COHHIO) has been working hard to diversify the coalition that makes up the movement for affordable homes. 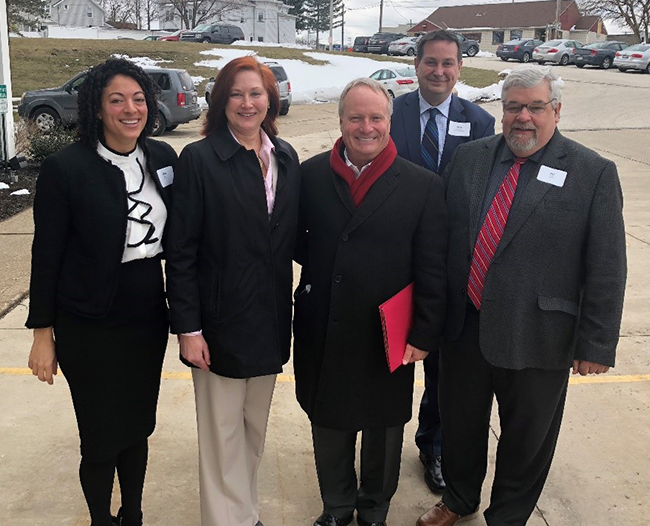 It recently hosted a multi-sector outreach event with Representative David Joyce (R-OH), vice chairman of the Subcommittee on Transportation, Housing and Urban Development. Topics included the intersections of affordable housing with the needs of low income college students and the provision of services to people experiencing chronic mental illness. The coalition also hosted event with elected officials outside of Dayton, which included a multi-sector panel on the importance of affordable housing for the lowest income families and a tour of local developments. Ohio CDC Association; Bill Faith, executive director of COHHIO. The coalition is using these expanded relationships to advocate for stronger federal housing policies. The coalition recently sent a sign-on letter with endorsements from more than 250 multi-sector organizations to their congressional delegation advocating for increased funding to HUD. COHHIO also published an op-ed with a coalition member, the Ohio Federation of Teachers, in the Cleveland Plain Dealer. COHHIO recorded brief videos of more than a dozen multi-sector partners discussing the importance of housing and distributed them to Ohio’s congressional delegation through social media. Check out these video postcards on COHHIO’s YouTube channel.